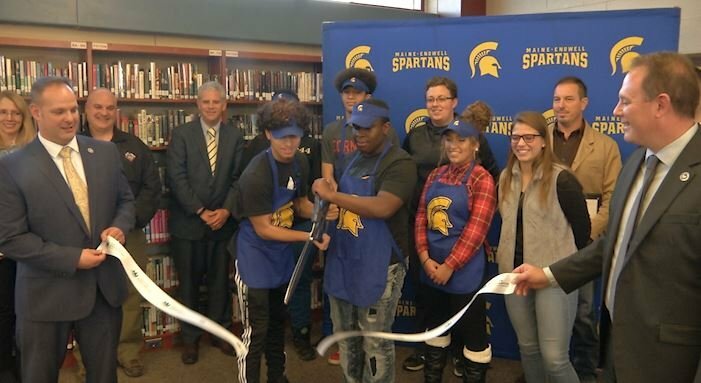 Maine-Endwell High School officially opened their new "Leonidas Lounge" today, a student-run coffee shop. 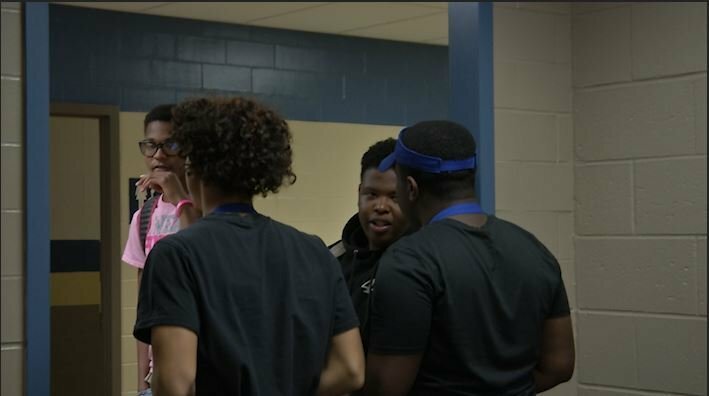 The School district teamed up with local businesses such as Java Joes to give students a new work based education opportunity. Senior Spartans gathered references, filled out applications, and had real-time job interviews in order to be hired to work in the store. Like any job, these students will be paid but they will be paid in a unique way... at the end of the school the students who worked in the lounge will receive a scholarship... something that Jace Czekaoa, an M-E students says he appreciates. Czekaoa said, "I like that we kind of get all of the money that we earned throughout the year at the end in a scholarship, being young kids we're easily tempted to spend it, instead now we have money saved up all at once for something like a car or a laptop for school". Leonidas Lounge is open in the morning serving bagels, coffee, muffins... while being closed during lunch periods so that the two don't compete for business. After lunch is over the lounge reopens serving frozen yogurt along with other beverages and snacks. The students that are working in the new lounge are also gaining real world experience in the service industry and business management. They get to learn hands on marketing, quality loss insurance, and collaborating with one another.. something M-E principal Tom Burkhardt says you cant learn from a textbook.